Our 89mm diameter roller available in Mild steel zinc plated. Please check below for a more detailed description of the specification regarding the conveyor or frame. 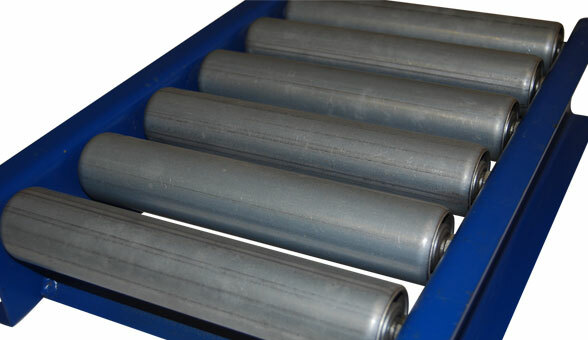 Roller Pitches As a guide rigid based items should have a minimum of 3 rollers underneath the product, more flexible items will require more support. This product is available with stainless steel frames and support stands for food applications.